Every year at Thanksgiving, my cousin claims that turkey makes you sleepy. But I thought that myth had been debunked years ago. What’s the story? Well, don’t be too hard on your cousin. 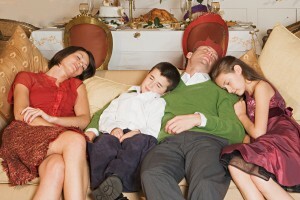 The notion that eating turkey will make you sleepy has been around for a long time. And if you look at your family members after Thanksgiving dinner, it’s likely you will see evidence that it’s true. But it’s not. The myth started because turkey contains tryptophan. With the help of iron, riboflavin and vitamin B6, the body can convert tryptophan into niacin, also known as vitamin B3. But more to the point, the body can also use tryptophan to make serotonin, a brain chemical that helps make melatonin, a hormone that can control your sleep/wake cycles. Since turkey provides tryptophan, which makes serotonin, which makes melatonin — it makes some sense to blame the turkey when you feel sleepy after Thanksgiving dinner. The thing is, turkey doesn’t contain a large amount of tryptophan. Pork and cheddar cheese contain even more, and no one complains that they put you to sleep. Other foods that contain tryptophan include eggs, fish, milk, nuts, peanuts, peanut butter, pumpkin seeds, soy and tofu. Also, when you eat turkey or any other protein-rich food, tryptophan has to compete with other amino acids to get to the brain. 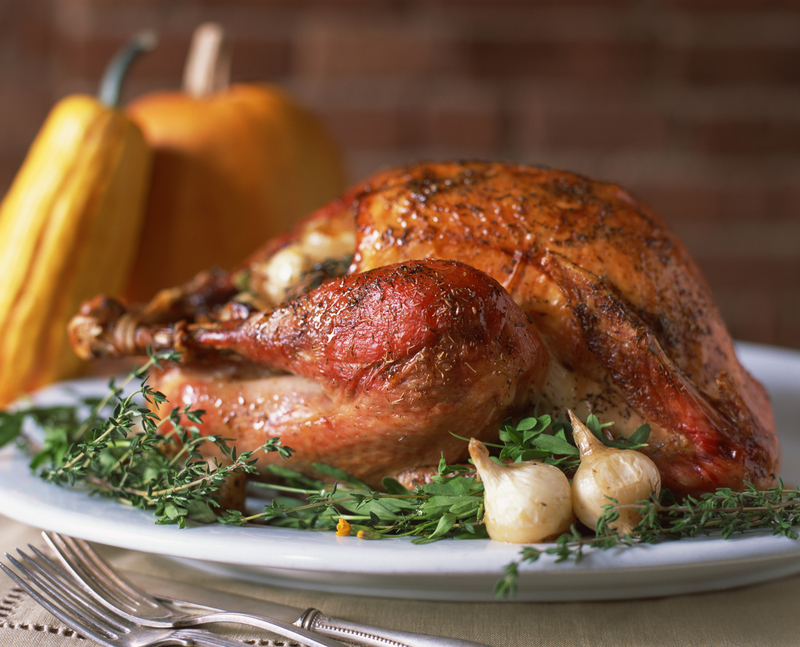 For a person to become drowsy from tryptophan, it needs to be taken in higher doses and on an empty stomach. 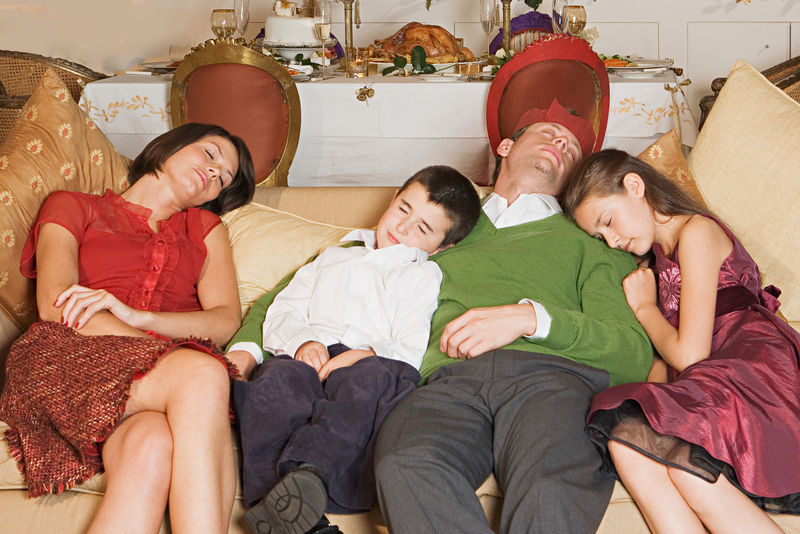 Still, it’s likely that after dinner on Turkey Day, you may see some family members nodding off in front of the television. If it’s not the tryptophan, what’s going on? Most scientists believe that the drowsiness is caused by the heavy portions of carbohydrates in the typical Thanksgiving meal: mashed potatoes, sweet potatoes, stuffing, rolls, cranberry sauce — and pumpkin pie to top it off. Those food items alone provide more carbohydrates — and calories — than most people eat in an average day. That kind of over-indulgence diverts the body’s blood supply to the digestive system and away from the brain and other parts of the body, and that’s what makes you feel sleepy. If you need further proof for your cousin to believe you, check out a two-minute animated video produced last year by the National Science Foundation and the American Chemical Society. It explains the myth and why scientists don’t believe it. Is your turkey thawing yet? We are hosting Thanksgiving this year, and I’ve been worried about having enough space in the refrigerator to thaw the turkey. My husband suggested thawing it in our attached garage. Good idea or bad idea? Bad idea. Take the time to clean out the refrigerator. Even if you shiver when you step into the garage, you simply don’t have complete control over the temperature in that space. And temperature control is what it’s all about when it comes to thawing the turkey safely. You need to keep the bird below 40 degrees, and you can’t guarantee that outside of a refrigerator. Thawing the turkey in the refrigerator is the simplest method. All you do is take the turkey, still completely wrapped, and put it in a big pan to catch any juices that might leak out during the thawing process.And, just in case, place the turkey on the bottom shelf so any stray juices don’t drip onto other foods. One to three days for 4- to 12-pound turkeys. Three to four days for 12- to 16-pound turkeys. Four to five days for 16- to 20-pound turkeys. Five to six days for 20- to 24-pound turkeys. Luckily, a thawed turkey can remain in the refrigerator for an additional one to two days before you put it in the oven, so place it in the refrigerator earlier rather than later to be sure it’s completely thawed. Another way to safely thaw a turkey is to place it in cold water. But this method is more complex than it sounds: You have to be sure the turkey is completely submerged, and you have to replace the cold water every 30 minutes to be sure the water stays below 70 degrees F. It can take up to 12 hours to thaw a turkey using the cold water method, depending on the size of the turkey. That’s a long time to fill and drain (and fill and drain) a container with cold water. You might think that thawing a turkey properly isn’t as important as cooking it thoroughly: After all, thorough cooking kills bacteria, right? That’s true, but there’s a major flaw in that argument: Some foodborne pathogens produce toxins that remain in the food even after bacteria are destroyed. You simply don’t want to take the chance. For more information on keeping your Thanksgiving dinner a safe one, check out Turkey Tips from the USDA’s Food Safety and Inspection Service at www.fsis.usda.gov. Editor: This column was reviewed by Linnette Goard, field specialist in Food Safety, Selection and Management for Ohio State University Extension, the outreach arm of Ohio State’s College of Food, Agricultural, and Environmental Sciences. I’ve seen friends post information on social media saying dairy foods are bad for you. Is this hype or for real? Despite some negative press, dairy products still get a thumbs-up from the nutrition community, particularly low-fat and fat-free varieties. But that didn’t stop recent headlines from warning things such as “Drinking too much milk could kill you.” This particular round of news stories were based on a Swedish study and have added fuel to dairy denunciations from groups as disparate as plant-food-loving vegan diet advocates to meat-loving Paleo diet proponents. In the study, researchers looked at dietary questionnaires completed by 61,000 Swedish women in the late 1980s and in 1997, and 45,000 Swedish men in 1997, and investigated health outcomes in 2010. They found that higher reports of milk consumption were not associated with lower risk of bone fractures and were associated with higher rates of death — hence the headlines that resulted. But even the study’s authors said their results should be interpreted cautiously and shouldn’t be used for dietary recommendations. Critics went further, pointing out that the study didn’t differentiate between full-fat and low- or nonfat milk, and actually found that consumption of cheese, yogurt and other fermented dairy products was associated with a reduced risk of bone fractures. And there’s always concern about long-term studies that draw conclusions from dietary information taken at a single point in time. That said, milk consumption is problematic for people who are lactose-intolerant. People with this condition have trouble digesting the type of sugar in milk and suffer bloating, cramps, diarrhea or nausea after drinking milk. It’s estimated that 30 to 50 million Americans are lactose intolerant to some extent, with very high rates among certain populations, including Asians, African-Americans, Latinos and Native Americans. Despite the concerns, the majority of the nutrition community defends dairy as being an important part of an overall healthful diet. There’s just too much scientific evidence that supports the link between consumption of dairy products and bone health, and there are additional compelling indications that dairy has other health benefits, as well. Besides being high in calcium, dairy offers many nutrients, including vitamin D, riboflavin, vitamin B12, phosphorus, potassium, vitamin A, selenium, magnesium and zinc. 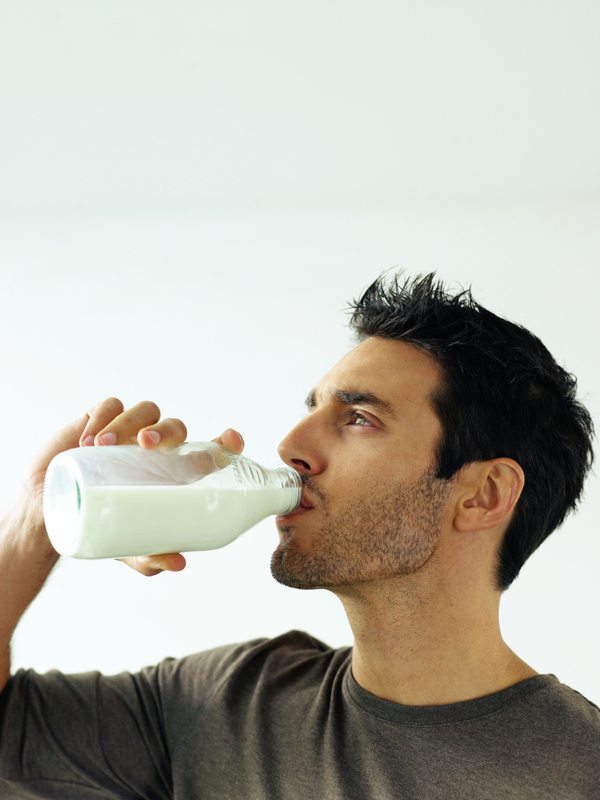 So, experts say, if the choice is between soda or another sugary drink and milk — take the milk. Editor: This column was reviewed by Bridgette Kidd, Healthy People program specialist for Ohio State University Extension, the outreach arm of Ohio State’s College of Food, Agricultural, and Environmental Sciences. I seemed to get sick a lot last winter. Besides citrus fruits, is there anything I can eat to fight bugs before they get a foothold? 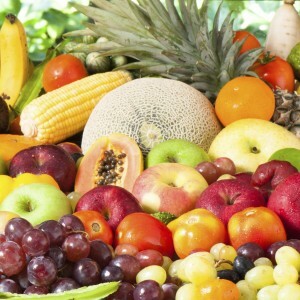 The best thing you can do to boost your immune system through diet is to eat plenty of fruits and vegetables. Will that ward off all illness? Not by a long shot. Although there is some science behind the guidance, it’s important to remember that the immune system is a complicated thing, and there’s still a lot that researchers don’t understand about exactly what affects its performance. Still, science does provide some evidence that a healthful diet can help. For example, a British study published in the American Journal of Clinical Nutrition in December 2012 followed 83 volunteers, ages 65 to 85, who normally ate only two servings of fruits and vegetables a day. Half the participants were told to increase their consumption of produce to at least five servings a day. It didn’t matter what kinds of fruits and vegetables they ate — they just needed to eat more, and they were encouraged to eat a wide variety. For this study, a serving of fruit was defined as 80 grams, or just about three ounces, or three-quarters of a cup of fruit juice. A serving of vegetables was defined as three heaping tablespoons. After 12 weeks, both groups were given vaccines for pneumonia and for tetanus. No differences between the groups were seen from the tetanus shot. However, participants who ate more produce and who never before had received the pneumonia vaccine — Pneumovax II, commonly used in the United Kingdom — developed significantly more antibodies to fight against pneumonia than the others in the study. In addition, those who ate more produce reported less illness: 20 percent of the five-servings-a-day group reported recent infections or illnesses, compared with 33 percent in the two-portions-a-day group. While this study focused on older people, boosting intake of fruits and vegetables isn’t bad advice for anyone. Healthy-living strategies that help all parts of your body, including the immune system, function better. How to weigh immunity-boosting claims of supplements and other products. The interactions of age, diet, stress and exercise on the immune system. Editor: This column was reviewed by Dan Remley, field specialist in Food, Nutrition and Wellness for Ohio State University Extension, the outreach arm of Ohio State’s College of Food, Agricultural, and Environmental Sciences.